Ford announced they will officially reveal the new redesigned 2015 Ford Mustang on Thursday December 5th. In an effort to build anticipation for the all-new Mustang (as if we weren’t already excited! ), the company is teaming up with Facebook and Instagram, for the next 15 days, to showcase what Mustang has meant to its millions of fans the last 50 years and how it continues to inspire people around the world. 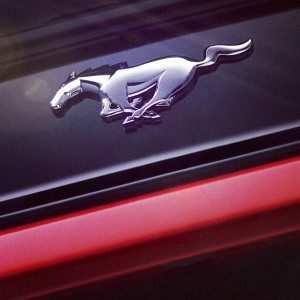 Of note, Ford will be using Instagram (https://instagram.com/ford) to release the first image of the new car, giving fans a tease of what to expect on Dec. 5. The all-new Ford Mustang will make its debut on December 5 in six cities on four continents. The reveal events will take place in Dearborn, Mich.; New York; Los Angeles; Barcelona; Shanghai and Sydney. Some say the new Ford Mustang will look like the Ford Evos Concept. Alright folks, keep your eyes peeled! It’s a celebration of Mustang, social media style. Much talk and speculation surrounds the launch of the upcoming 2015 Ford Mustang. The car, which will debut on December 5, 2013, will rein in 50 years of Ford Mustang history. No small feat by any means. No doubt, the Mustang has come a long way since its introduction at the World’s Fair in Flushing Meadows, New York back on April 17, 1964. So what will the new Ford Mustang look like? Will it have an independent rear suspension? What type ofengine offerings will be made available? These questions are just a few of the many making the rounds. While most of these answers are being kept under wraps by Ford executives, several things are known. For starters, Ford plans to launch the new Mustang using a completely new vehicle platform. It’s also been reported that Ford plans to take the Mustang international, which means this platform will need to conform to international needs. As for its appearance, it’s been said that Ford will move away from the retro look, with a goal of making the Ford Mustang a more modern looking machine with European stylings. The focus is to attract buyers from the “Generation Y” age group, which focuses on those born between 1980 and the early 1990s. To give you an idea, it’s been rumored the new Mustang will look somewhat like the Ford Evos Concept, which is somewhat in line with the modern-day Nissan Z Car. Several publications have created their own 2015 Ford Mustang renderings. While enthusiast feedback has been mixed, there’s no doubt such a Mustang would look cutting edge when compared to other “modern day” racers. In June of 2012, a Ford Mustang test mule was spotted out and about, by spy photographers, conducting tests. Many believe this vehicle featured components of the new 2015 Mustang platform. Of note, the test mule was equipped with an independent rear suspension. This has led many to speculate that the 2015 Ford Mustang will definitely feature an independent rear suspension, making it the first of its kind in a standard Ford Mustang. To date, the Ford Mustang features a live rear axle (with the exception of the 1999-2004 SVT Cobra). Another topic of much discussion pertains to the 2015 Mustang’s engine lineup. It’s been said that Ford will offer an EcoBoost engine option for the upcoming Mustang. The team at MotorAuthority, a popular online automotive blog, noted that a new Focus RS could feature a turbocharged 2.3L EcoBoost engine. They speculate that this engine would be the new base option in the 2015 Ford Mustang. Estimated output is somewhere in the 330 horsepower range. Meanwhile, the folks at Car & Driver speculate that, in addition to this EcoBoost option, the 2015 Ford Mustang will continue to feature the company’s existing 5.0L Coyote and the 3.7L V6 engines. There has even been talk of a 4-cylinder option, although nothing solid has surfaced. Many in the Mustang community have reminded us of the Mazda-designed Ford Probe, which was introduced in 1989. The car was originally set to replace the Ford Mustang. When all was said and done, the idea to replace the Mustang with the Probe was eventually shot down, largely due to negative consumer feedback. While Ford did eventually launch the Probe, production ended after the 1997 model year. As long as Ford continues to embrace its repeat buyers, the enthusiast group behind the car’s longstanding run, the Mustang will likely continue to live on for many more years to come. Take that group out of the equation, and the Mustang’s future becomes a bit sketchy. What will happen? We’ll just have to wait and see. 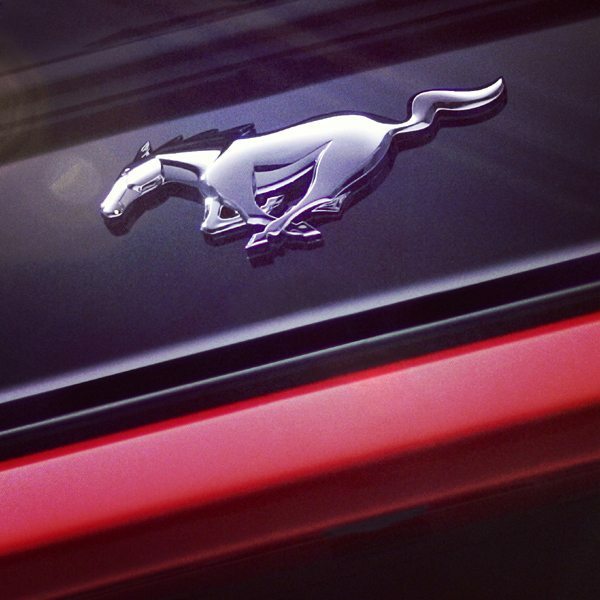 The 2015 Ford Mustang will make its debut on December 5, 2013 in six cities on four continents. The reveal events will take place in Dearborn, Mich.; New York; Los Angeles; Barcelona; Shanghai and Sydney.